Veneers are one of the most popular and effective developments in cosmetic dentistry. They are thin, custom made castings, that cover the front side of your teeth. Patients choose to get veneers to correct uneven teeth, discoloration, worn enamel, irregular spacing, and chipped teeth. Veneers can last over 20 years and protect damaged teeth from further harm. At the Mexico Dental Implants in Tijuana, we first conduct a thorough examination of your teeth, which often includes X-rays and taking impressions of your teeth. We then remove a thin layer of enamel from your teeth and create an impression to send to our laboratory to create a veneer. We may provide you with temporary veneers while your permanent mold is being made. 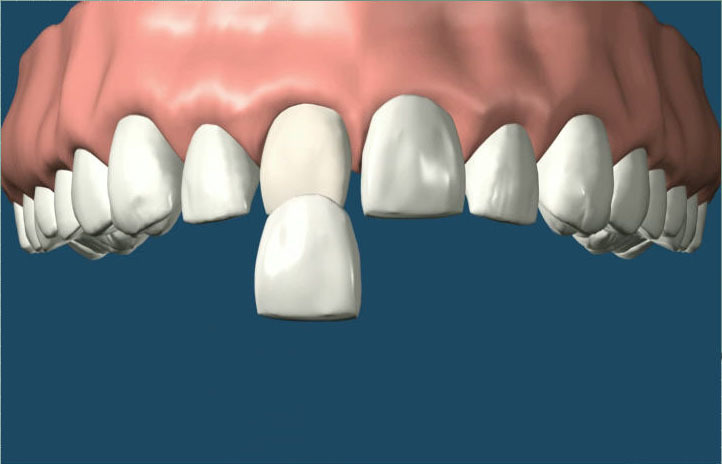 Your permanent veneer’s size and color are given one last adjustment before they are cemented to your teeth. Veneers can give teeth a much more beautiful appearance. Our Tijuana dental office provides veneers that look extremely natural and aesthetically pleasing. They are also resistant to stains and gentle on gums. Our clients love veneers for their restorative powers and to protect damaged teeth from further harm. Lumineers have become very popular due to marketing efforts. However, they are not the best type of veneers and yet they are the most expensive. Many people think that Lumineers do not require teeth to be shaved. Actually, with all types of veneers, the surface of teeth must be prepared in order to get a good seal. We can put on Lumineer brand veneers if a client so desires, but although the cost is considerably cheaper in Tijuana than in the United States, they still cost $520 each. The truth is, the custom veneers we make out of e.max are better, and less expensive. Empress veneers are very similar to Lumineers. They are just as thin as Empress and have the same luminance. 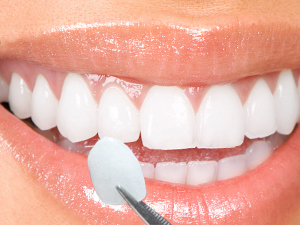 At Mexico Dental Implants, Empress veneers cost just $380 each. The best veneers we offer are the E.max brand. Not only are they made of the hardest material and are the most resistant to damage, they also have great luminance. It takes 2-3 visits to our clinic to install a custom-made set set of veneers and they are proven to last over 20 years. 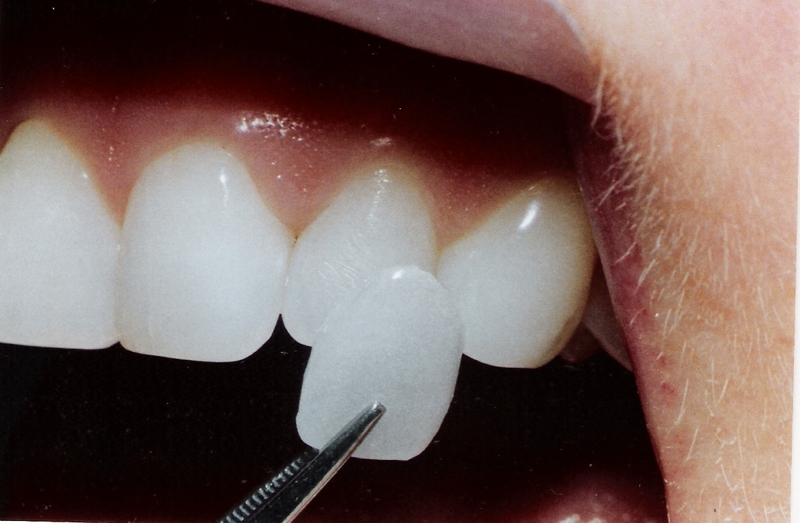 In very rare instances, veneers can chip or crack. When this happens, they need to be replaced. Since enamel is permanently removed in the procedure, your teeth may become more sensitive to hot and cold foods. You may be advised to wear a mouthguard when you go to bed if you grind your teeth in your sleep, since teeth grinding can damage your veneers. In the United States, depending on the experience of your dentist and the materials being used, veneers cost from $1,100 to $2,000 per tooth. Porcelain veneers are generally the most costly. At Mexico Dental Implants, we charge only $380 per tooth.